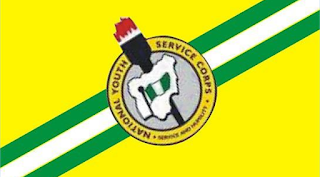 Generally, all prospective corps members, those exempted and those excluded must make payments to NYSC's purse to have their letters printed. I briefly covered how to make payment for these letters or activities in my post “21 Banks Approved for NYSC payment of Call-up Letters Fee, Relocation Fee etc”. You will find that helpful if you have decided to use a bank rather. If however, you want to avoid lining up at the counter in order to pay in, kindly follow the guide below to pay directly on NYSC website (online). You can make payment immediately after creating your NYSC profile during mobilization registration. In other words, immediately your profile is created (before fingerprints are captured), you will be taken to the page that asks you to make payment first before full registration or continue without payment. There, you can choose to make payment before continue. These payments affect call-up letters, exemption and exclusion letters. You can also complete your registration before making payment. For relocation letters, you’ll need to log in to your profile and scroll to “Relocation” and follow the prompts. Whichever you're paying for, you need this post. After successful login, click on "Click Here To Make Payment"
NOTE: No matter the option chosen, you will be asked to make payment through MasterCard. You may not be able to use Verve card please. If you’re finding this method difficult, kindly use bank option.